The New Orleans Film Society discovers, cultivates, and amplifies diverse voices of filmmakers who tell the stories of our time. We produce the Academy-accredited New Orleans Film Festival annually and invest year-round in building a vibrant film culture in the South to share transformative cinematic experiences with audiences, and connect dynamic filmmakers to career-advancing resources. 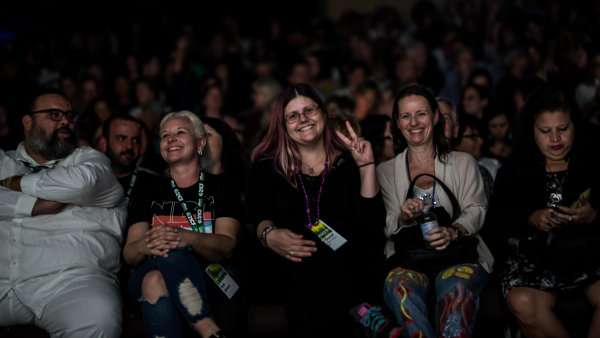 We see our greatest impact in the exchange of ideas that occurs when an anticipated 25,000 people gather over the course of 9 days to champion film in New Orleans and engage with visionary films, directors, and other film lovers. Within and beyond the New Orleans Film Festival, we are cultivating and nurturing homegrown storytelling by complementing our filmmaker services programs with new initiatives, such as a Southern Producer’s Lab launching this Spring, and an expansion of Emerging Voices, our nationally recognized mentorship program for filmmakers of color. This Fall we launch a new series of collaboratively programmed films at the Contemporary Arts Center. At the helm of this work is a dedicated staff and Board of Directors, including a newly elected executive committee– Board President Valerie M Grubb, Vice Presidents Jean-Paul Gisclair and Brad Hunter, Secretary Tracie Ashe and Treasurer Glenn Gruber– and four new board members: Michael Collins, Monica Frois, Katherine Gelderman, and Jimmy Hornbeak who join an existing Board of passionate film lovers: Seth Bloom, Liz Dunnebacke, Britt Galloway, Sayde Finkel, James Gelarden, Lesli D. Harris, Sian McArthur, Joann Ricci, Alex Glaser, Sandy Shilstone, Conway Solomon, and Alexandra Stafford. To each of you who have been part of the growth of the New Orleans Film Society and the New Orleans Film Festival, our signature event, THANK YOU! 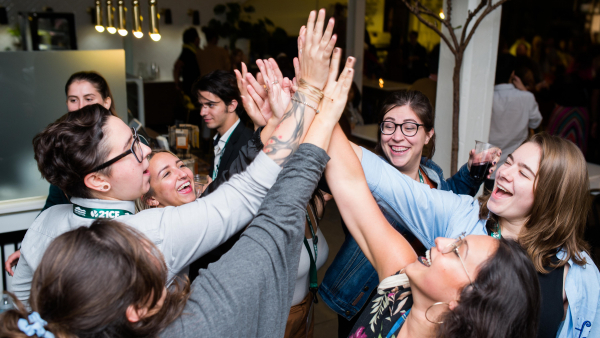 When Paste Magazine praised the festival for offering “a platform to voices that still fight to be heard,” you were the pillars of that platform. When Forbes called New Orleans Film Festival a “Top Growing Film Festival,” it was you who cultivated that growth. We hope you will join us in celebrating our new mission and carving the path toward a vibrant and inclusive film landscape.